This article of moose facts is brought to you by our friends at Roanline. 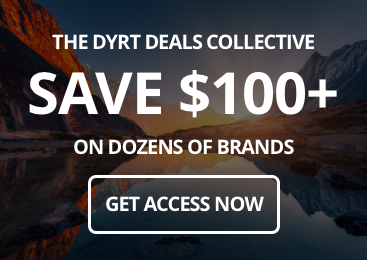 In Asheville, North Carolina and online, they’re your one-stop shop for unique, sustainable clothing from brands you might not know about yet, but should — including Free Fly Clothing and Parks Project Clothing. Rocky and Bullwinkle. Thidwick the Big-Hearted Moose. Marty Moose from Walley World. The overly sociable moose from If You Give a Moose a Muffin. Moose often seem like goofy knock-kneed oafs that lumbered right out of a Dr. Seuss book with their massive bodies perched on stilt-like legs, and that floppy patch of skin and hair (called the bell) hanging from their throat. These herbivores are the largest of all the deer species, standing over 6 feet tall and weighing up to 1,500 pounds. They live across North America, Europe, and Asia. However, you don’t have to go all the way to Alaska or the cold white north to see one. In the United States, moose can be found across northern states bordering Canada and as far south as the Colorado Rockies. About 300,000 moose call the U.S. home. If you’re like us, then it’s a cool treat to see animals in the wild — provided we do so responsibly and give them plenty of space. One of the best ways to see moose in the wild is by visiting one of our national parks. 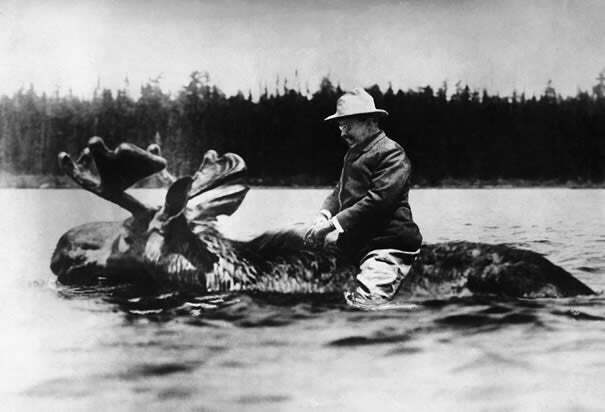 Although you may never be as cool as Teddy Roosevelt riding a swimming moose, you can support our national parks and look cool rocking a Teddy Roosevelt tee from Parks Project clothing. Approximately 800 moose reside in Yellowstone and Grand Teton National Parks. With their long legs and thick coats made up of hollow hair, they have adapted to survive deep snow and long cold winters. Leaves and twigs of willow trees make up the majority of a moose’s diet. In the summer, they love to munch on soft aquatic plants in streams, lakes, and marshes. Their preferred habitat is usually tangled and swampy. However, moose can easily move through muddy marshes and bogs without sinking. When walking through a swamp, their two-toed hooves spread and with extra support from dewclaws their weight is distributed, preventing them from sinking, similar to a person walking across deep snow with snowshoes. When exploring and camping in Yellowstone you can hedge your bets on seeing one of these long-legged ungulates around Yellowstone Lake, Fishing Bridge, Hayden Valley, and Willow Park between Norris Junction and Mammoth Hot Springs. 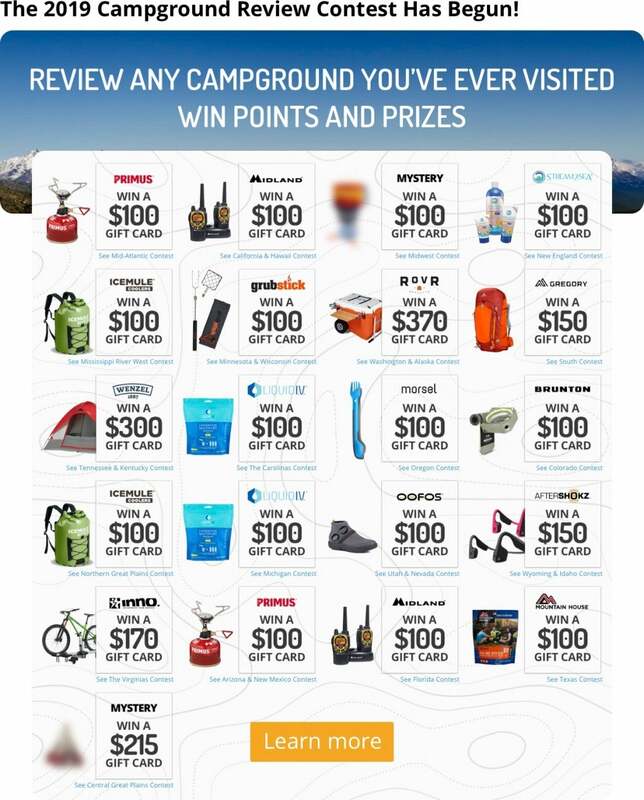 Yellowstone offers 12 campgrounds with a variety of features and restrictions. If you’re after more moose and fewer crowds then keep heading south to Grand Teton National Park. 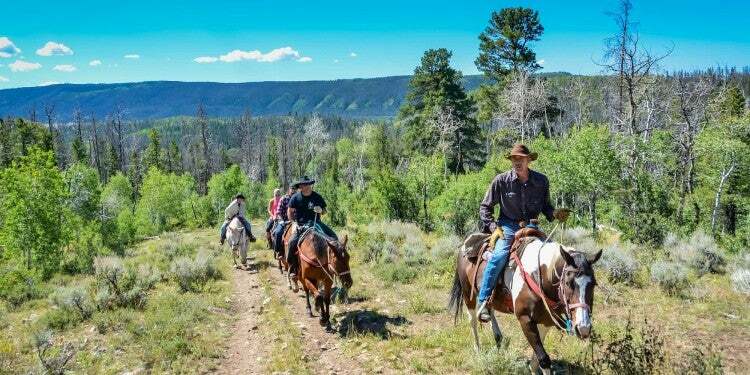 Camping in Grand Teton offers spectacular mountain views and abundant wildlife. There is a higher concentration of moose in Grand Teton than Yellowstone with moose hanging around Willow Flats, Christian Pond, and Oxbow Bend. Did you know that moose can swim 6 mph? Not impressed? Well, you should be because Michael Phelps’ top speed is 6 mph, and a moose can maintain that swimming speed for 2 hours! Not only are moose excellent swimmers, but they can also hold their breath for 50 seconds as they graze on aquatic vegetation. In fact, they are the only member of the deer family that can close their nostrils, allowing them to fully submerge their head while grazing. Since moose are so well-equipped to survive the cold, they can easily overheat. In the heat of the summer, moose will bed down midday to keep cool. They are also known to take a swim to cool off. Isle Royale National Park is a rugged isolated island in Lake Superior accessible only by ferry, seaplane, or private watercraft. 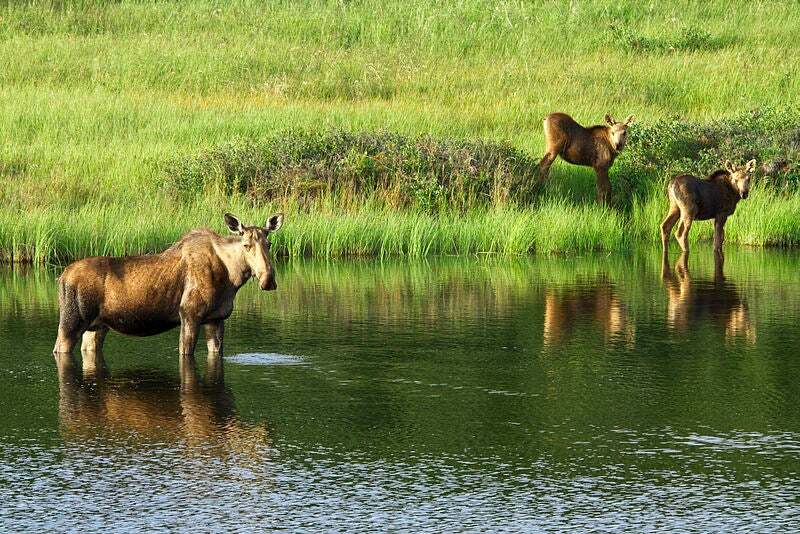 Over the centuries, moose have used their swimming skills to move from the mainland to the untamed island. In the 1940’s, nearing extinction from systematic eradication, wolves also made their way onto the island via ice bridge. Due to the lack of human interference on the island and an abundance of prey including moose, the wolves thrived. However, in the 1980’s, a visitor brought his pet dog to the island which exposed the wolves to canine parvovirus. The population was already collapsing from disease and with less frequent ice bridges, the wolves became extremely inbred from a lack of genetic variation. As of July 2018, there are only 2 wolves left. Moose, however, are thriving, with over 1,600 currently residing in Isle Royale. With fewer and fewer wolves and no other natural predators on the island, the moose population continues to explode. After 60 years of observations and research, Isle Royale is home of the longest predator-prey study in the world. If remote wilderness, solitude, and moose are what you desire, then camping in Isle Royale National Park is for you. 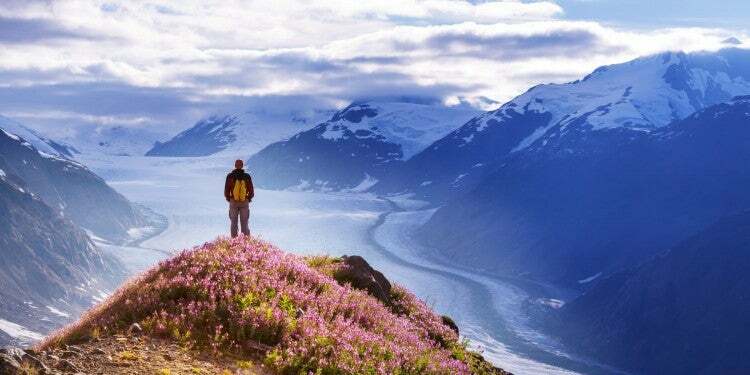 It is the least-visited national park in the country; however, it has the highest rate of return visitors. 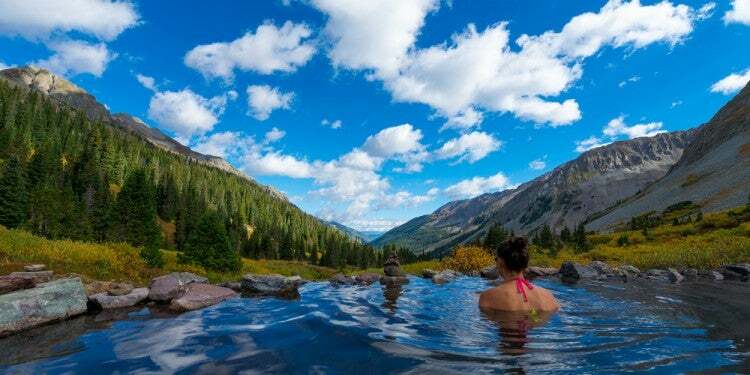 Visitors also tend to stay longer; the average stay is 3.5 days while the average stay for other national parks is 4 hours. The 45-mile long island offers boundless scenic beauty adventure for scuba divers, hikers, backpackers, canoers, kayakers, and boaters. Moose are browsers and thrive in riparian habitat. That means they’re herbivores that feed on high growing leaves, new growth, or fruits on trees and woody shrubs, opposed to grazers who feed on grass and low vegetation. Moose use their tongue and specialized nose to strip twigs and shrubs of their leaves. Similar to a cow, moose chew cud and have multi-chambered stomachs. Due to their size and living in rugged wilderness, moose need to eat 50 to 60 pounds of food per day. A moose’s stomach can hold over 100 pounds of food at one time! To survive winter, they need fat stores to fuel them when food is scarce. It is common for them to lose 30% of their body weight over winter months. Moose love the wetlands and willow thickets along the Colorado River and are common in Rocky Mountain National Park. They most frequently seen on the west side of the park in the Kawuneeche Valley. Every winter, male moose (bulls) shed their antlers to save energy going into months of cold harsh conditions and reduced food availability. Their antlers are deciduous meaning they’re “shed annually.” Antlers differ from horns in a variety of ways. Each antler is a single solid piece of bone and they’re grown every year. Horns have an interior bone that is an extension of the skull with an exterior sheath (the horn) that is made of keratin similar to fingernails. Horns are not shed and will continue to grow during the animal’s lifetime. Every spring, bulls will begin to regrow their massive antlers, often called paddles. Antlers grow up to an inch per day! During the growing process, they are covered with a thin fuzzy skin called velvet which allows veins and arteries to pump blood and proteins to the growing antler. Once the blood stops flowing the velvet dies, calcification begins and the antlers harden. The dried, splitting velvet frustrates the bull. He will thrash his antlers on shrubs and small trees to shed the velvet and sharpen the tines (points on the antler) to prepare for mating season. Bulls use their massive antlers to fight other males and win breeding rights during the rut (mating season). During the summer bull moose spend 25% of their energy growing antlers. Healthy bulls can grow antlers that can span 6 feet and weigh 70 pounds! 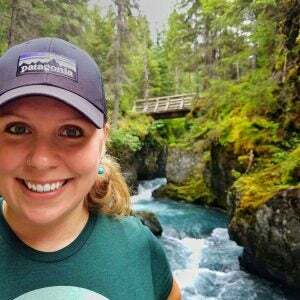 When camping in Glacier National Park, the best places to see moose are around Cobalt Lake, Redrock Falls, Gunsight Lake, Bullhead Lake, and the Swiftcurrent Nature Trail. The 1 million acre national park is considered the Crown of the Continent, and moose are one of the nearly 70 species of mammals that call the park home. Grizzly bears, black bears, mountain goats, wolverines, wolves, mountain lions, lynx, badgers, and marmots are also commonly seen in the park. 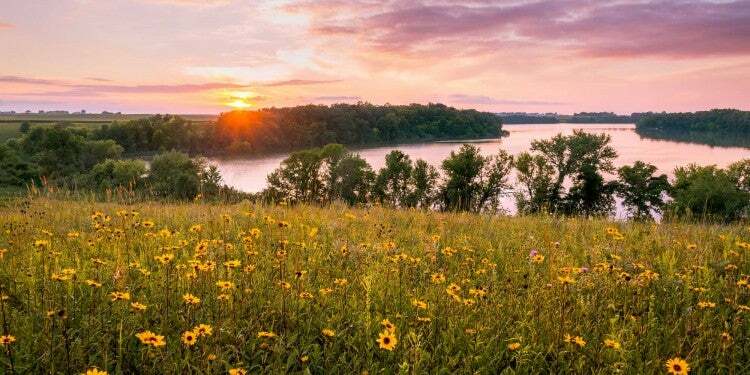 Camping options are plentiful with the parks 13 campgrounds and over 1,000 campsites from RV sites to primitive backcountry. North America has four moose subspecies: eastern, northwestern (Canadian), Shiras, and Alaskan. Shiras moose are found in the Rocky Mountains and are typically the smallest of the moose family. 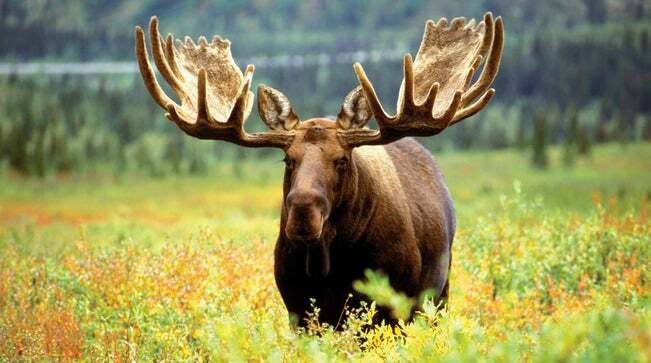 The eastern moose subspecies inhabit eastern Canada and the northeastern United States. The Northwestern moose is also called the Canadian moose. This subspecies resides across central Canada, North Dakota, Minnesota, and Michigan. Alaskan, or Yukon, moose are the largest of the subspecies and the largest of any antlered game in the world. 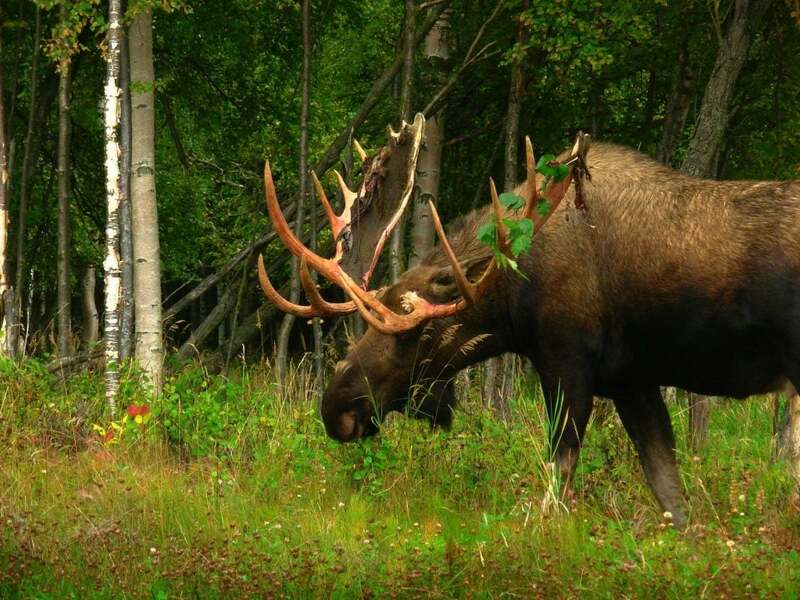 When it comes to moose in Alaska, you don’t need to go deep into the bush to see one. Moose lumbering through downtown Anchorage are not uncommon. An icon of Anchorage streets was Buzzwinkle, a “drunk but not disorderly” moose, who was often stumbling drunk on fermented fruit with holiday lights tangled around his antlers. 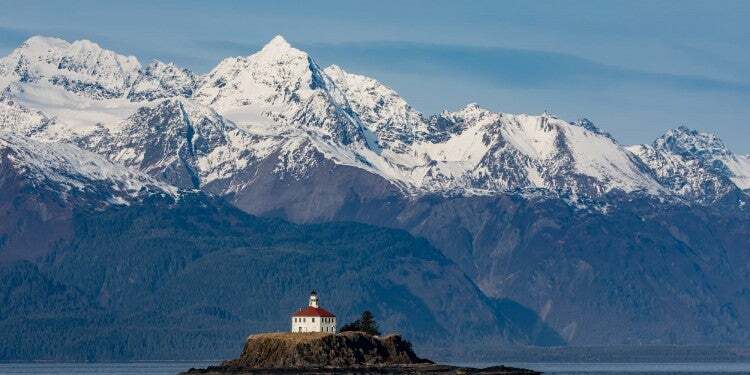 If viewing wildlife in the city isn’t your preferred landscape, then visit one of these four Alaskan National Parks to see the world’s largest moose species: Denali National Park, Glacier Bay National Park, Kenai Fjords National Park, and Katmai National Park. Although moose, for the most part, are pretty laid back, they have been known to be temperamental. Their aggressiveness can also be seasonal. 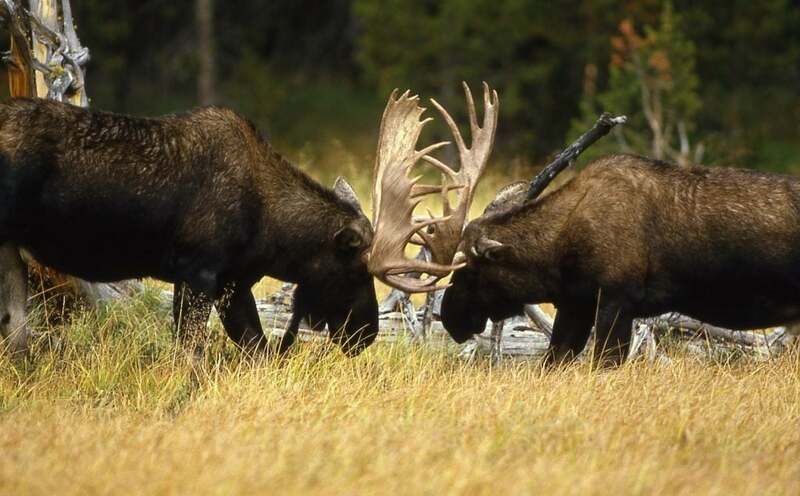 Males are more aggressive and unpredictable in the fall during the rut (mating season) when they’re pumped full of testosterone with only 2 things on their mind; fighting and mating. Females can be extremely dangerous in the summer as they protect their new calves. Never get between a mother moose and her calf. Keep yourself and the moose safe by keeping your distance. The children’s book taught us some cute consequences of giving a moose a muffin, but the real dangers in feeding moose are much more serious. Since moose are solitary animals, they like their personal space. If you are within the moose’s “bubble,” they may see you as a threat and charge — especially if there’s a calf nearby or it’s mating season. If you see a moose stay calm. They are incredibly near-sighted so slowly back away and speak calmly. According to Alaska’s Fish and Game Department, if a moose charges you, then run because they will not chase you very far; unlike a bear or wolf whose predatory instinct is triggered by running. Moose have very few natural predators with wolves being the primary threat. Unfortunately, moose cannot differentiate between your beloved dog and a wild carnivorous wolf. Moose really, really dislike dogs regardless of breed. According to Lyle Sidener, area wildlife manager for Colorado Parks and Wildlife in Hot Sulphur Springs, “almost all incidents with aggressive moose involve dogs getting too close to the animal. In most cases, a threatened moose will naturally react and try to stomp on the dog. The frightened dog will typically run back to its owner bringing an angry, thousand-pound moose with it.” The sight and scent of your dog can easily provoke moose. Therefore, if you encounter a moose while with your dog, immediately leash your dog and keep them back. As with all wildlife, safe viewing occurs at a distance. Therefore, the best way to get up close and personal with Bullwinkle and friends is with a zoom lens and tripod.